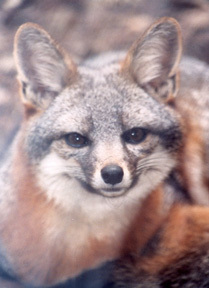 In 2005, Kevin Pease encouraged his school to become the first Island Fox Ambassador School and they raised funds for one of Friends of the Island Fox's first radio collars. 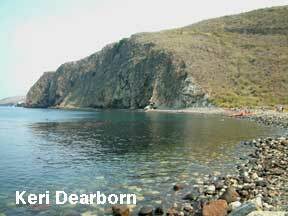 During the summer of 2006, Kevin and his family went to Santa Cruz Island and he sent us his Island Journal complete with an island fox photo. 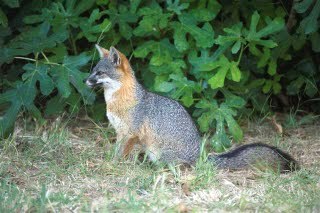 A major factor in the rapid recovery of the endangered island fox has been the active participation of school children and community members in island fox conservation efforts. You can help support island fox conservation by contributing to Friends of the Island Fox. During Fall health checks, funds are needed to vaccinate wild island foxes against rabies and distemper. Funds are also needed to radio collar island foxes to monitor the health of the population.